Nowadays, the use of infographics for business is getting more and more popular. This page will explore reasons why you should use infographics for business. Infographics are the visual representation of information, data or knowledge. You can attract targeted audiences’ attention by presenting infographics instead of words. This way of displaying content can be easily understood by the targeted audiences. Why Are Infographics Important for Business? The last few years have witnessed the incredible growth of infographics. According to the research, infographic search volumes on Google has increased by more than 800% in just 2 years. What's more, among all the tweets generated and videos uploaded each day, more than 14 million tweets and 2 million videos are in the form of infographics. If you are running a business or in charge of marketing, infographics can be a powerful tool for you. The following will tell you why Infographics should be used for business. Visual elements can attract people's attention more easily. Most people better respond to images rather than text. Combined with text, infographics would be a very powerful tool to help convey the information to your targeted audiences. With solid facts, persuasive figures, stats and other graphical elements, the information included in an infographic can easily capture the audiences' attention. The code included in an infographic is embeddable and automatically linked to your website. Thus, people can integrate that embedded code while sharing the infographic and increase backlinks to your website. An infographic often include company information like logo, web address and e-mail. It can not only "tell" but also "shows" the company brand, products and other related information. This is an effective way to increase brand awareness. When creating infographics, you can make use of tables, graphs, charts and other relevant information. This shows the massive effort you made while doing the research. This will indicate how knowledgeable you are on this subject, which makes you an expert in this field. The online credibility and reputation of your business will be greatly increased at the same time. The 4 reasons above perfectly explained why should infographics should be used for business. 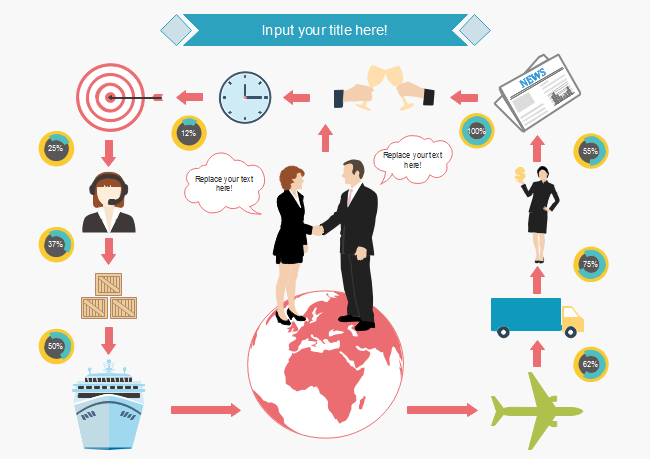 Then how to create a great infographic to meet the requirements for your business development? Edraw Infographics Maker, a professional and powerful Infographics software, can help create business infographics within just a few steps. 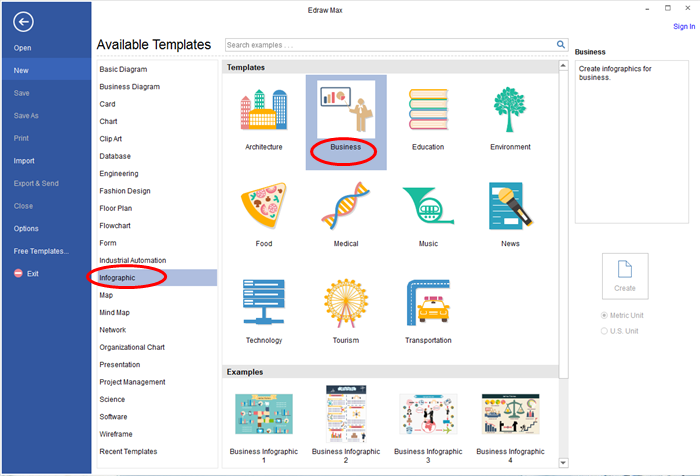 Simply drag and drop shapes required to the drawing page from library "Business" on the left. 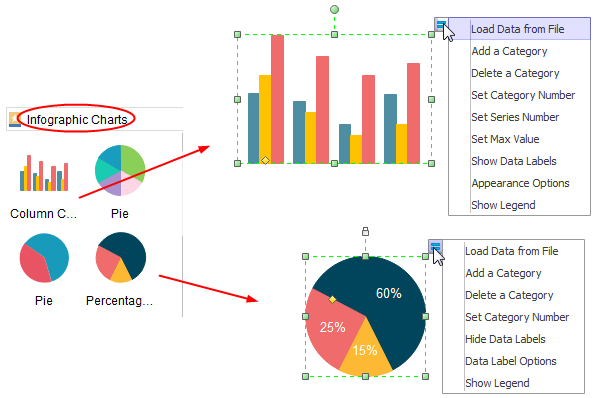 Drag and drop infographic charts from left library, place the cursor over the chart and a floating icon will pop out, select one to edit charts accordingly. Data in infographics is also editable, double click on the number needs to be modified and type in your own. Once complete your business infographic, click Save under the File tab. Or Choose Save As on File tab to save as other formats.